SMALL scale wind turbine developer Gaia-Wind has been revived under new ownership. The Glasgow-based firm, famed for its distinctive twin-blade turbine design, went into liquidation earlier this year, citing an international trading slump exacerbated by Westminster's crackdown on green energy incentives in the UK. But even as it failed, its administrators insisted that the company's customer base and product reputation warranted it being kept together as a going concern, if an owner willing to weather the short-term financial situation could be found. Gaia Wind's reputation is based on the GW 133 small wind turbine, which has a long track record of reliability, with nearly 2000 units across over 500 sites worldwide. 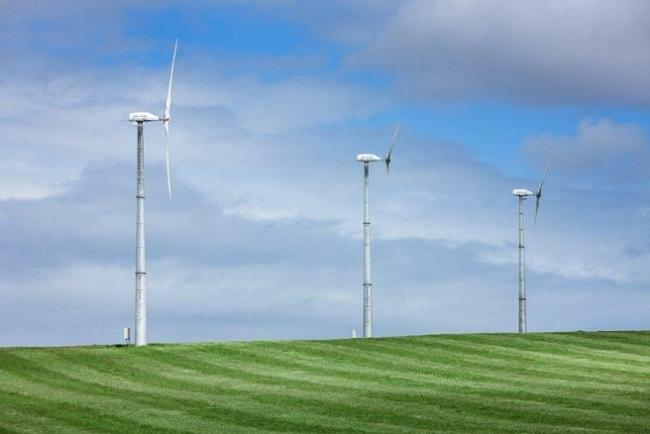 Now the company has re-emerged as Gaia Wind (Green Energy Solutions) Limited, incorporated in Scotland with registered and operating offices located in Edinburgh, having acquired the Intellectual Property Rights and assets of Gaia Wind Limited. The purchase was arranged by International Power and Water Investments (Holdings) Limited, which also has a significant interest in 4 Navitas (Green Energy Solutions) Limited, which has recently commercialised a 55kW 4N-55 vertical axis wind generator unit. Alistair Munro has taken the position as chairman and CEO of the Gaia Wind company, having invested in the restructuring of the company. Mr Munro has 30 plus years of technical and commercial experience in large scale power, water and waste water contracting internationally, and a proven track record of business turnarounds. Commenting on the acquisition, he said: "Gaia Wind has an excellent reputation with their clients and the reliability of the units gives the basis for a strong long term business. We offer the best price, performance and reliability in the small scale wind turbine market, and even now we are seeing demand for the product across the UK and internationally. “In addition to the current demand we are seeing, we will also be looking to create synergies with our existing investment into 4 Navitas, support our existing client base in our current markets and expand the international reach of the Gaia Wind business especially into emerging markets where wind resources mean reliable power for small communities and industry."